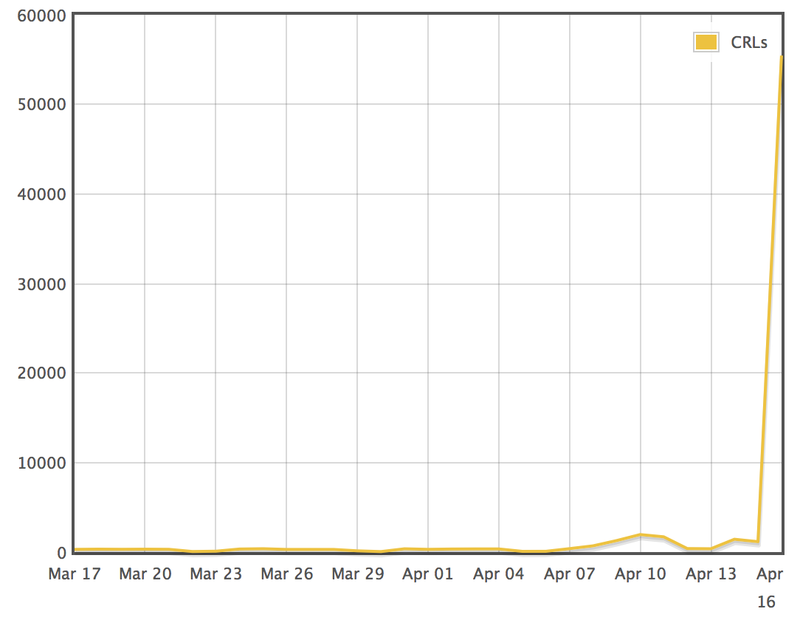 Update: CloudFlare posted in their blog twice today claiming responsibility for the majority of this spike. Quoting: "If you assume that the global average price for bandwidth is around $10/Mbps, just supporting the traffic to deliver the CRL would have added $400,000USD to Globalsign's monthly bandwidth bill." Update: We've also seen articles from ZDNet and WIRED today in response to the below insights, with further analysis therein. It looks like, as I had suspected, the CRL activity numbers we have been seeing did not reflect the real volume caused by the OpenSSL Heartbleed bug. 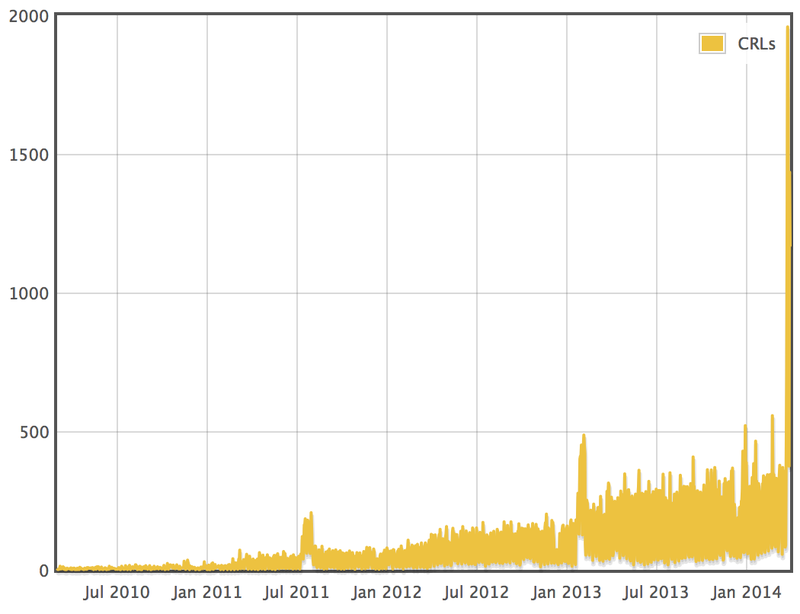 This is by an order of magnitude the largest spike in revocation activity seen in years, according to our current data. I have set up a new page for everyone to monitor the activity as well as see how we are obtaining this data. The page can be found at https://isc.sans.edu/crls.html. How will you use this page in your projects or general analysis? We'd love to hear some ideas. If you know of other CRLs that we can add, please let us know in the comments! Additionally, if you would like to see an API call added so that you can automatically query us for this information, please let us know so that we are aware of the demand. What do you attribute this consistent growth in revocations to? What do you think caused the previous spikes? Reader Philipp reported today a bug affecting his remaining Windows XP machines and Windows 2003 servers. Seems to be that all Windows XP and Windows 2003 machines with SC Forefront Endpoint Protection definition update 1.171.1.0 and later are affected. You might want to test definition update 1.171.64.0, as we have received reports stating that it fixes the problem. However, we have not seen yet any official statement from Microsoft regarding this issue. If you disable Forefront because it's not letting your machine work, please place other controls that minimize the associated risk. Otherwise, your computers could be so easily hacked. We also receive questions on which AV is the best. 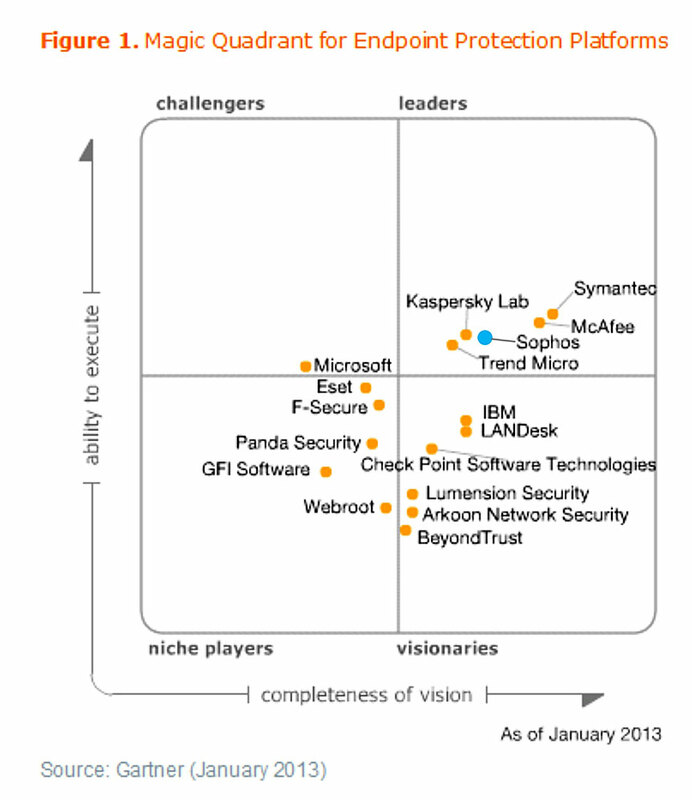 Since the answer is it depends on the company and the information security assets, you might want to check the Magic Quadrant for Endpoint Protection from Gartner Group and try to find yourself what is the best answer for your company. If you want to read the entire file, you can have it from Mcafee or Computerlinks. We will update this diary if more information becomes available.